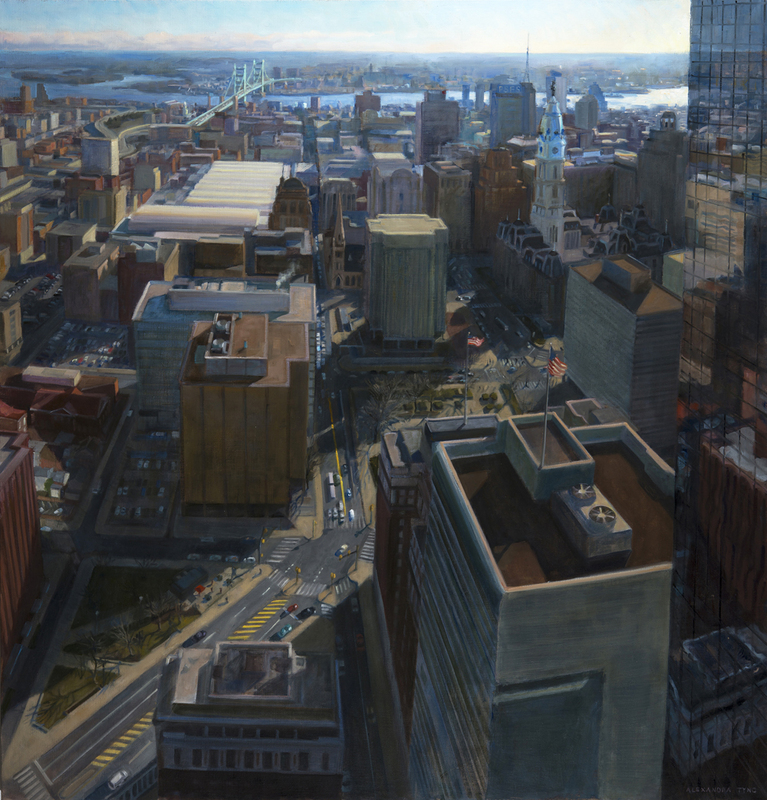 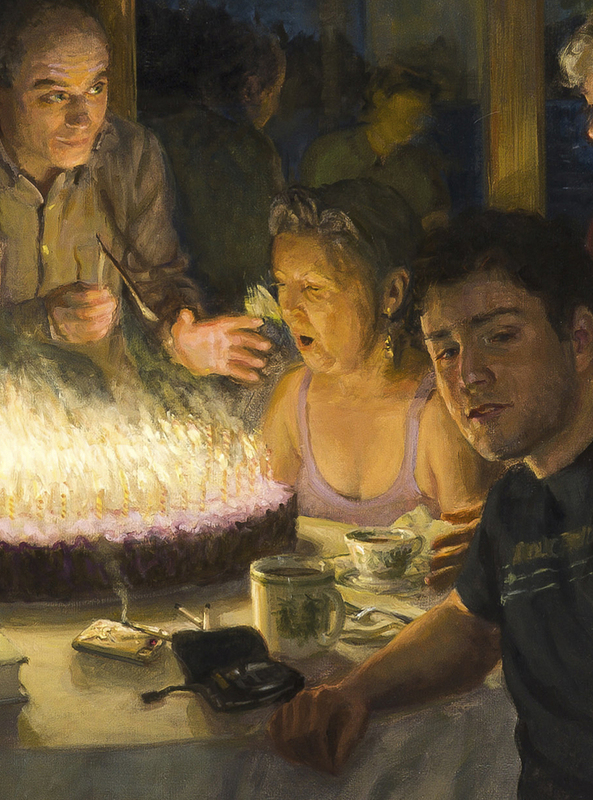 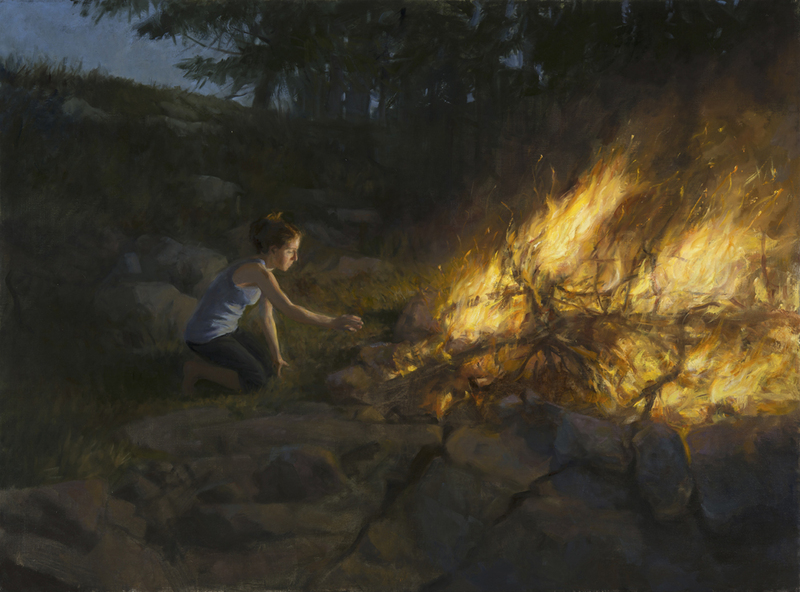 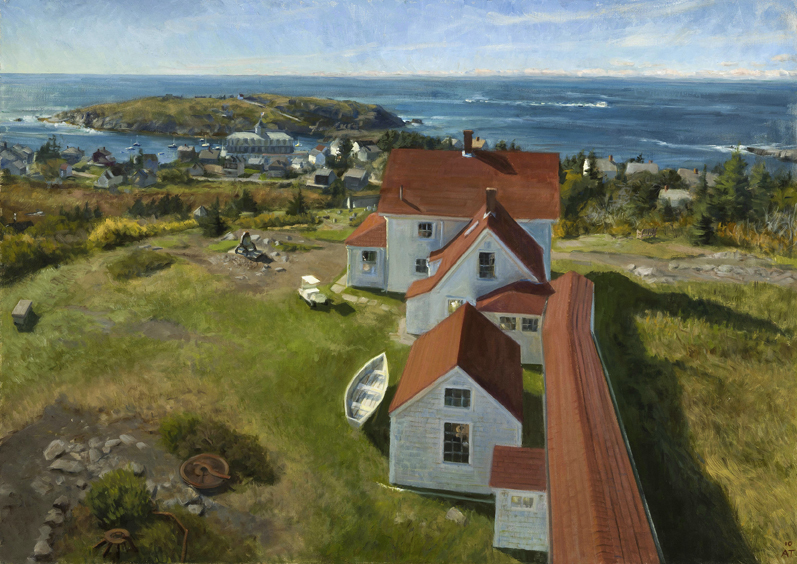 Alexandra Tyng is a Realist painter whose work combines traditional methods with a contemporary viewpoint. 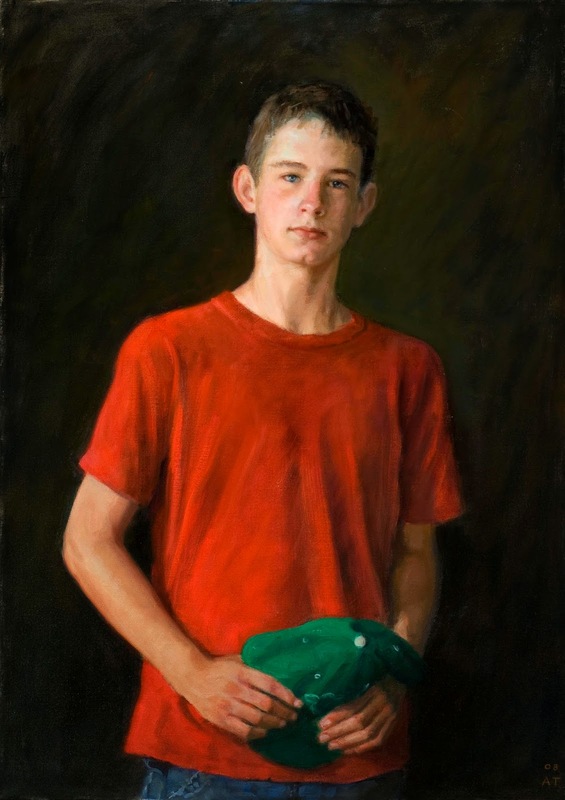 Alex was born in Rome, Italy. 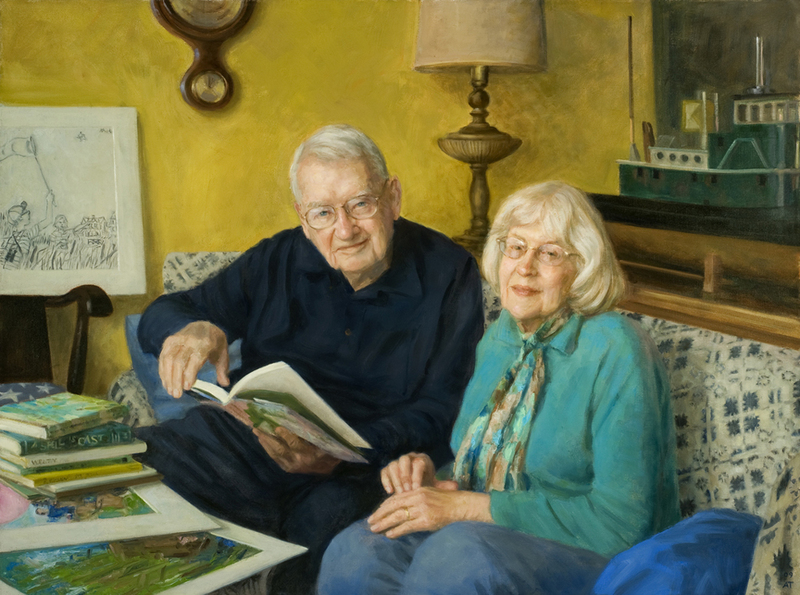 The father of Alexandra was famed architect Louis Isadore Kahn (1901-1974) and the mother was Anne Griswold Tyng (1920-2011) an architect and professor. 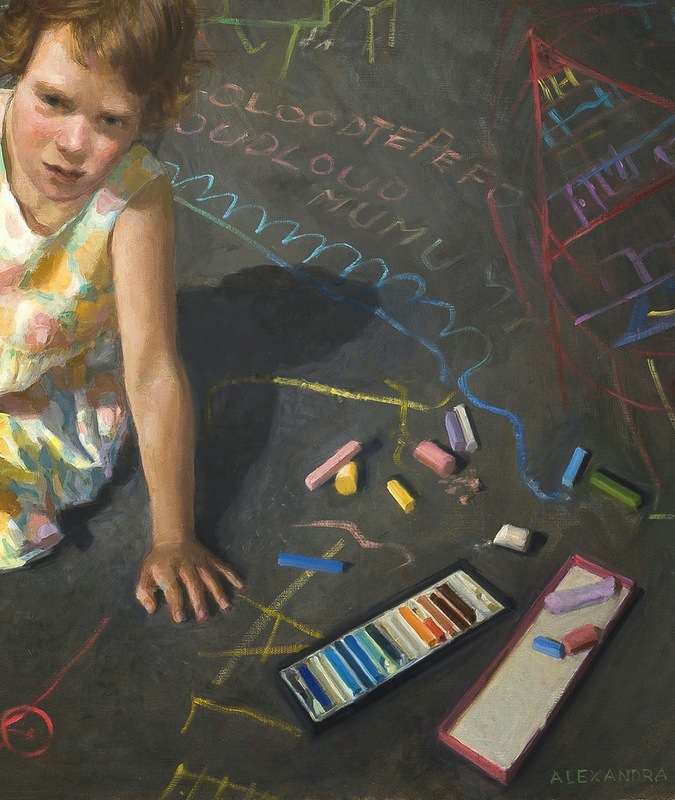 Primarily self-taught, Alex chose an academic education over art school. 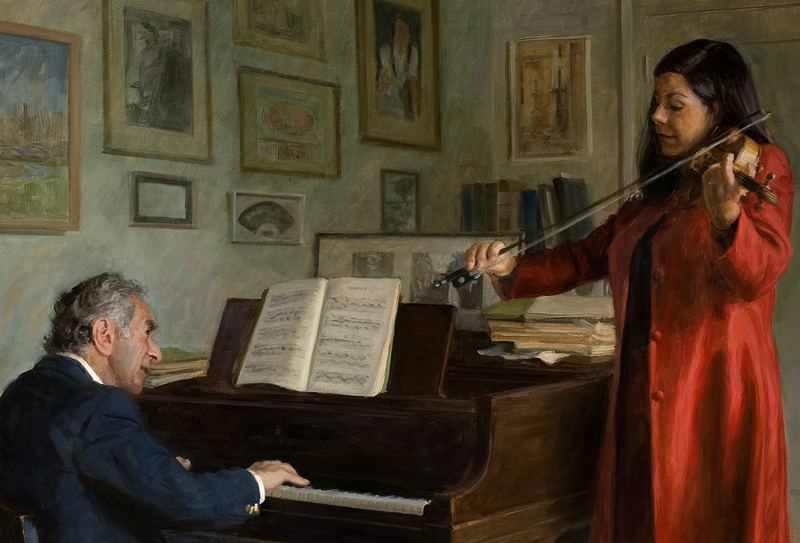 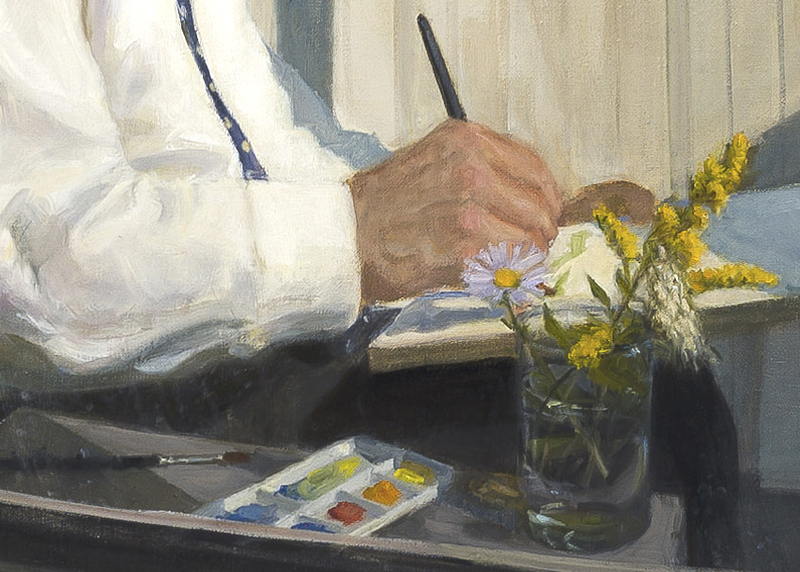 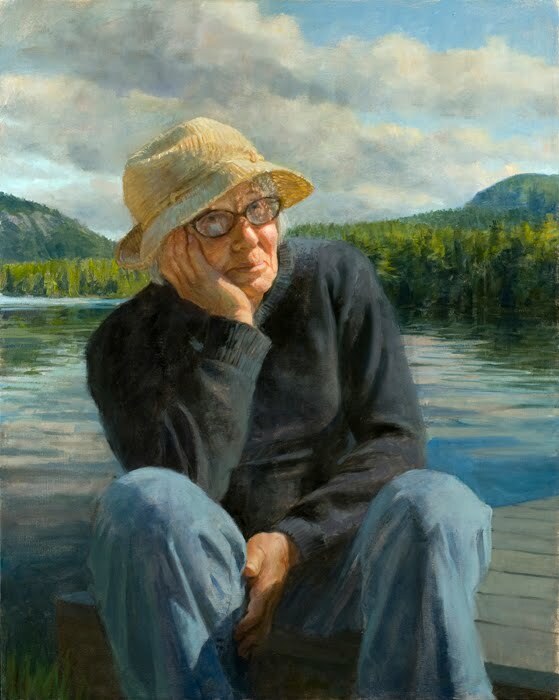 She learned traditional oil painting techniques by examining the work of the old masters, reading about the methods and materials of other artists, and watching artists paint. 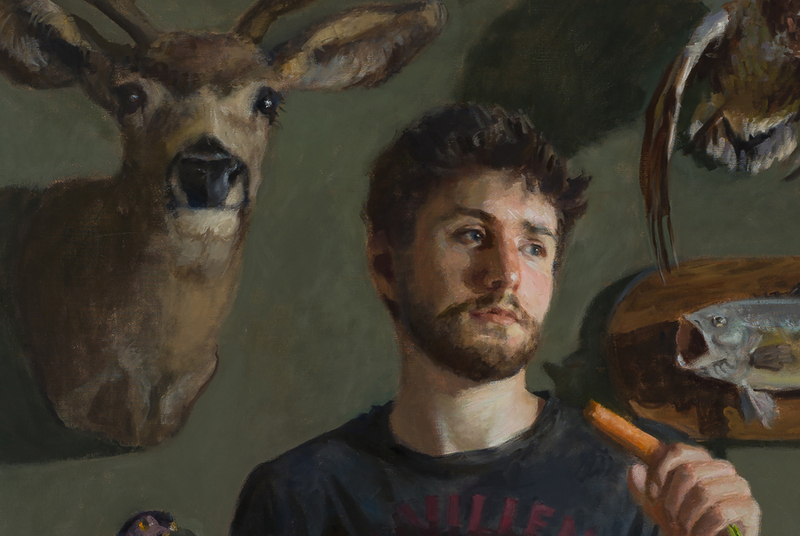 Alex’s portraits incorporate descriptive backgrounds and a uniquely figurative sensibility. 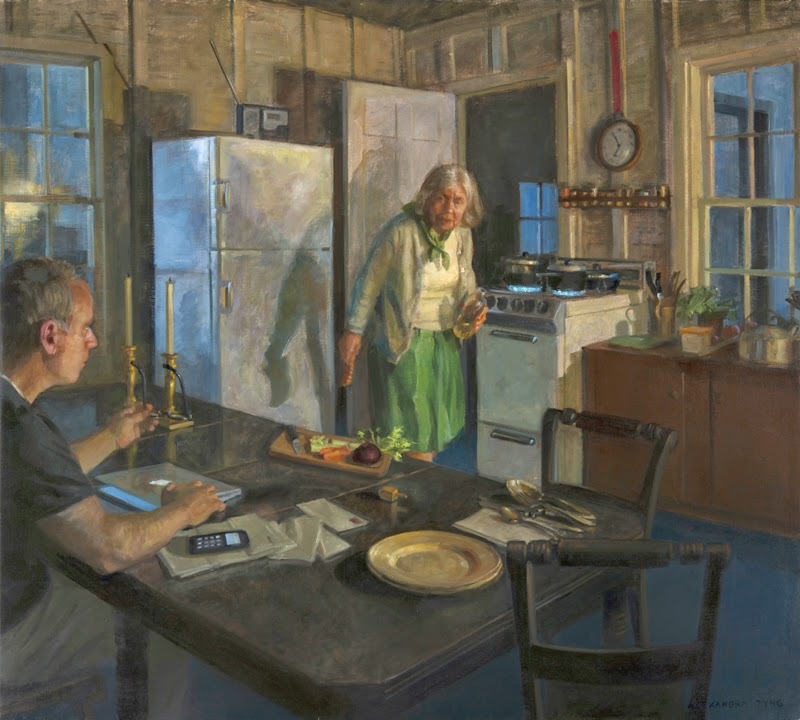 Her non-commissioned figurative work focuses on people in the process of living and interacting in their own environments, rather than in formal poses. 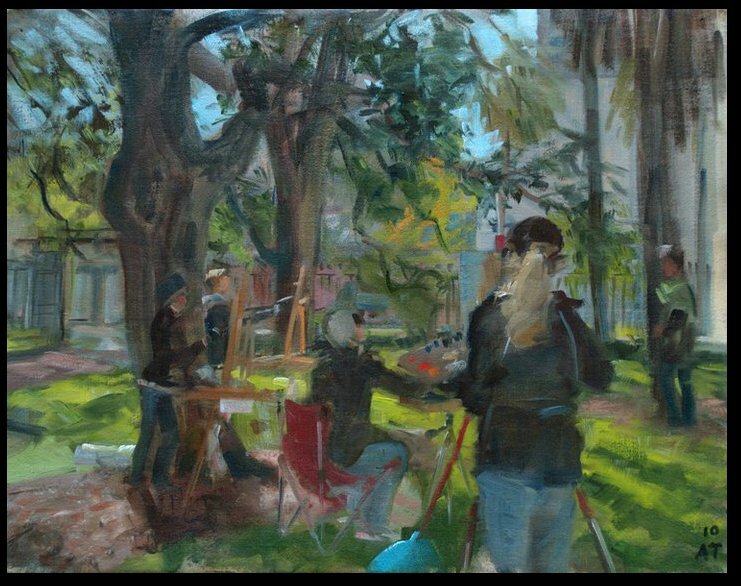 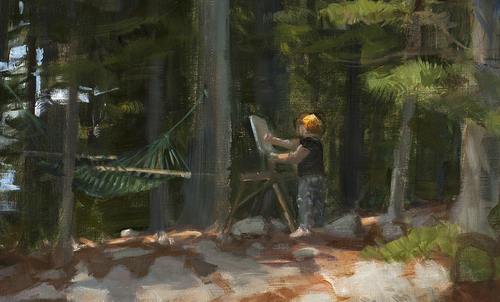 In other paintings the figures become distant focal points while the setting predominates. 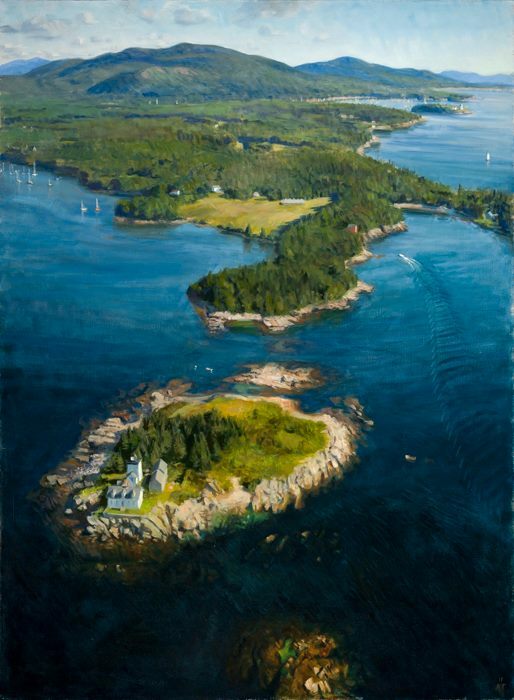 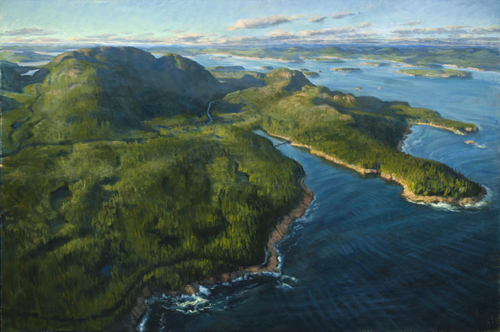 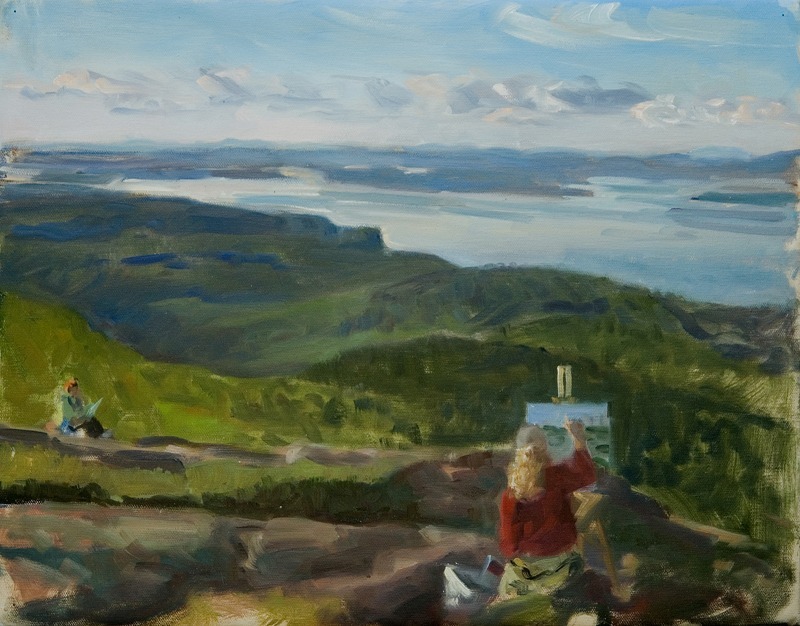 Alex’s landscapes range from intimate views of particular places to mountaintop panoramas to large-scale aerial views of the glacially carved land formations of coastal Maine. 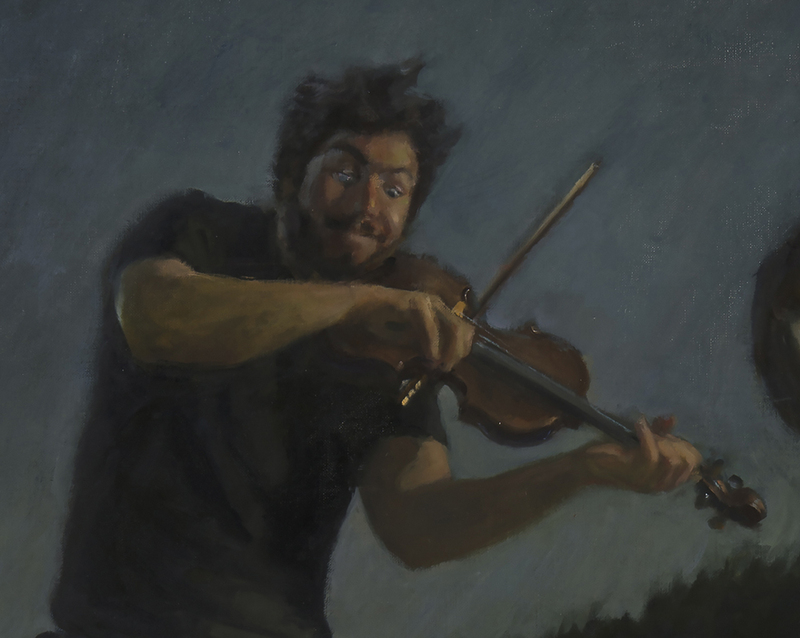 Alex has had solo shows in New York, Maine, and Philadelphia. 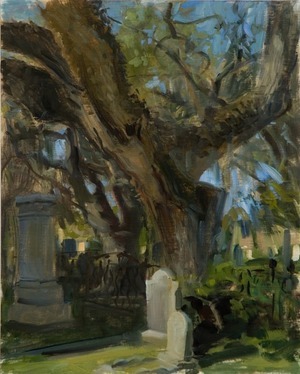 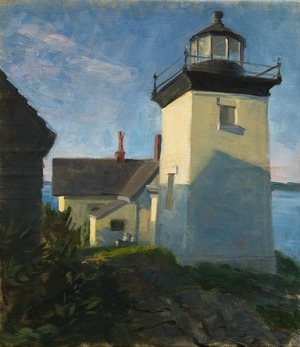 Her work is included in many public, corporate and private collections in the U.S. and abroad. 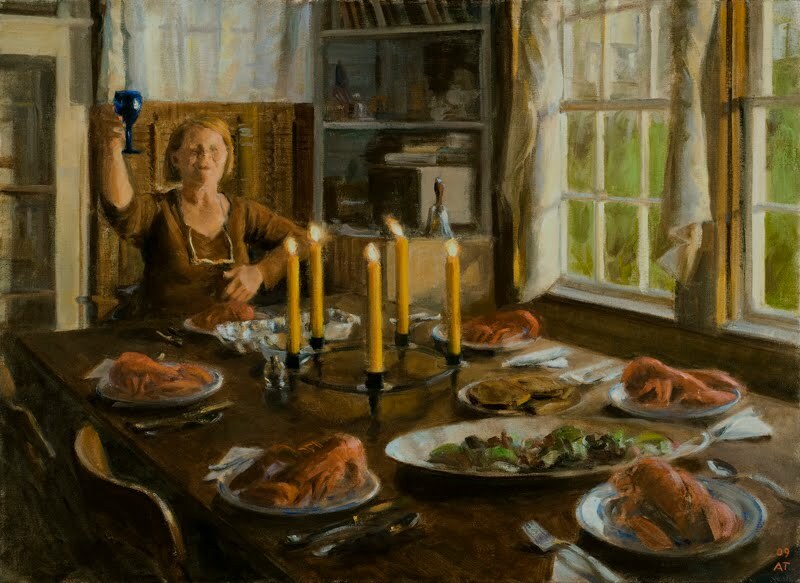 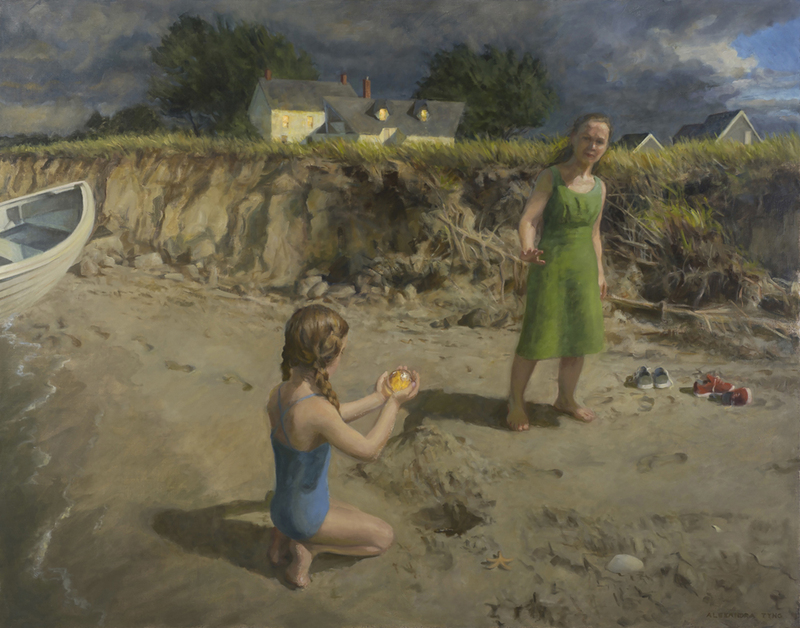 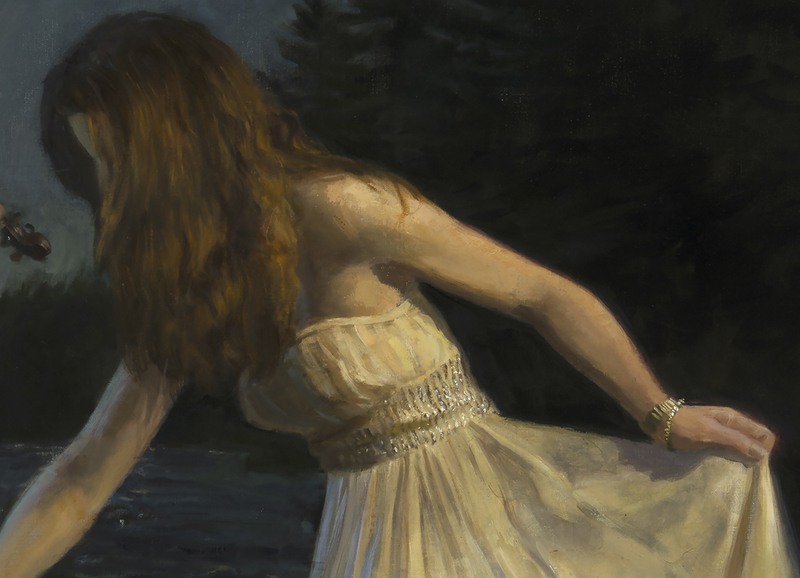 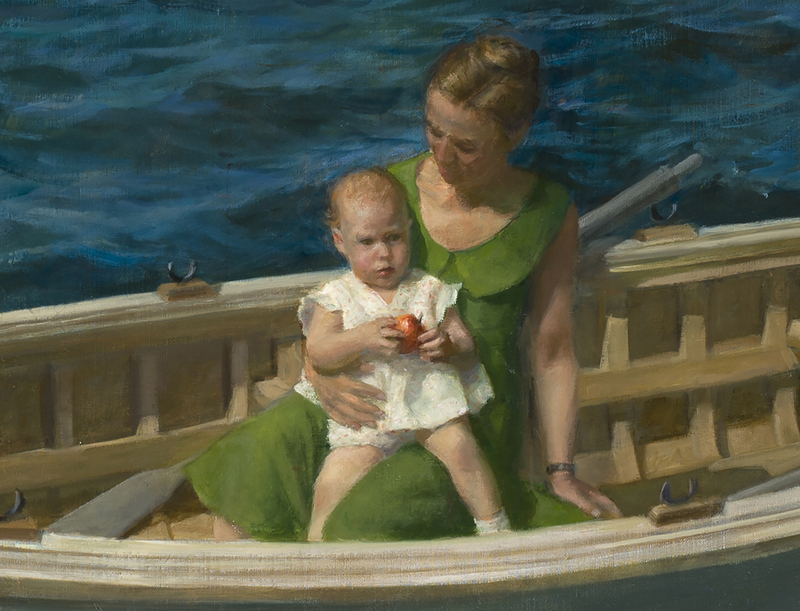 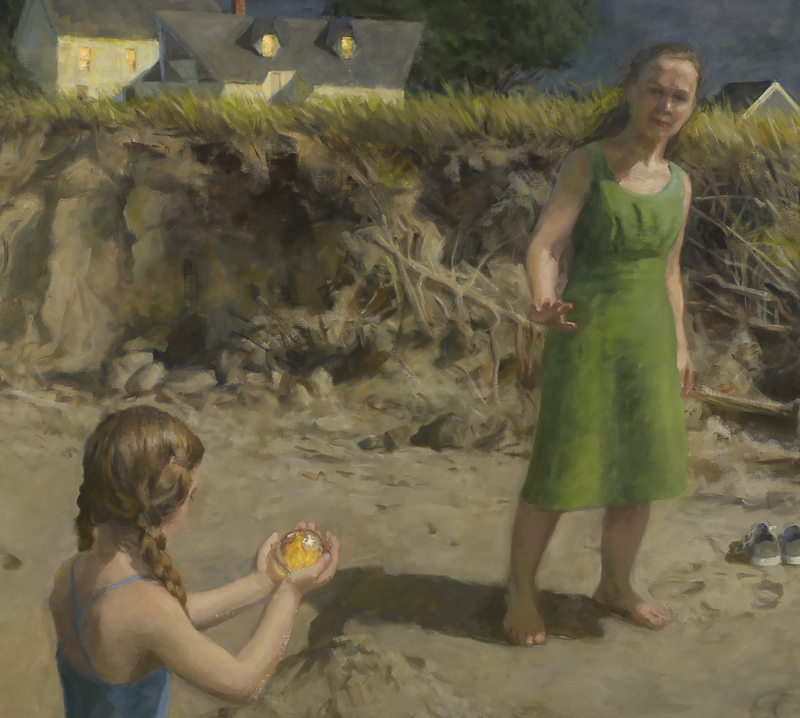 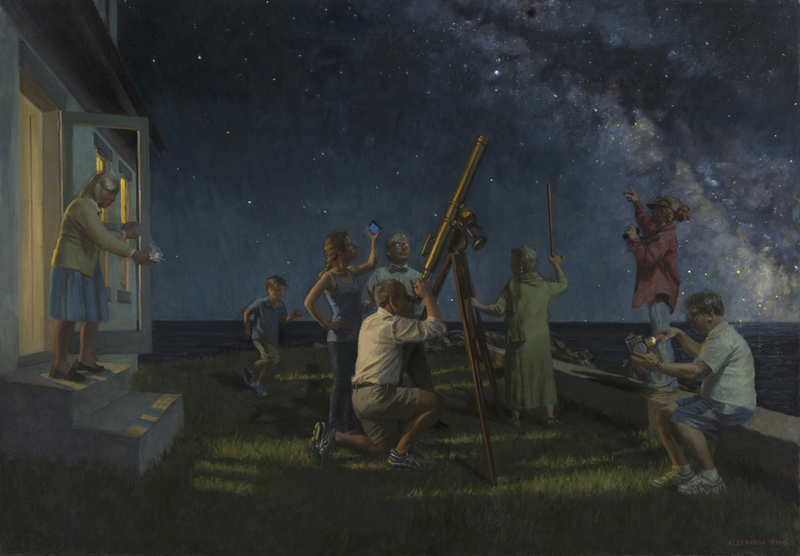 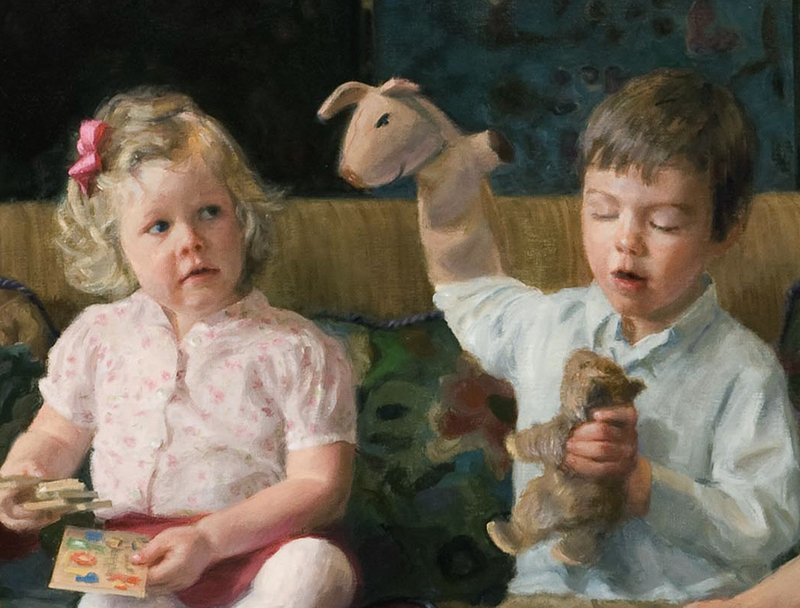 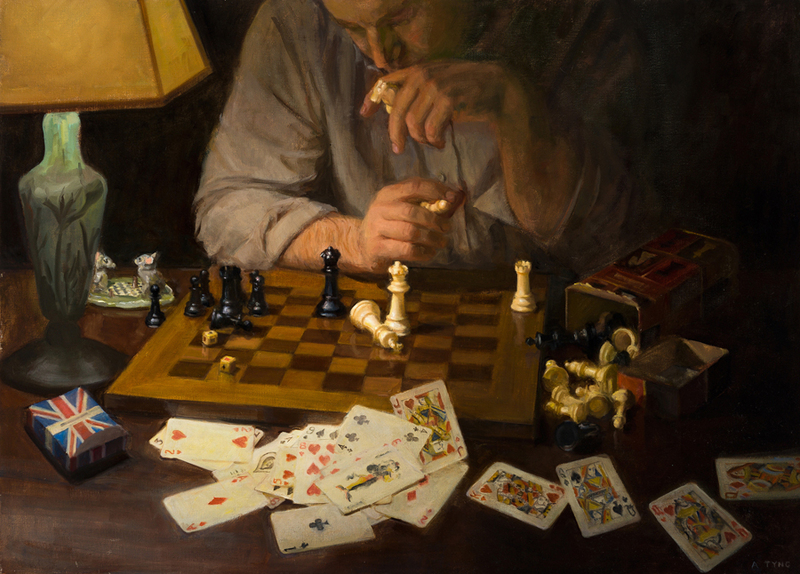 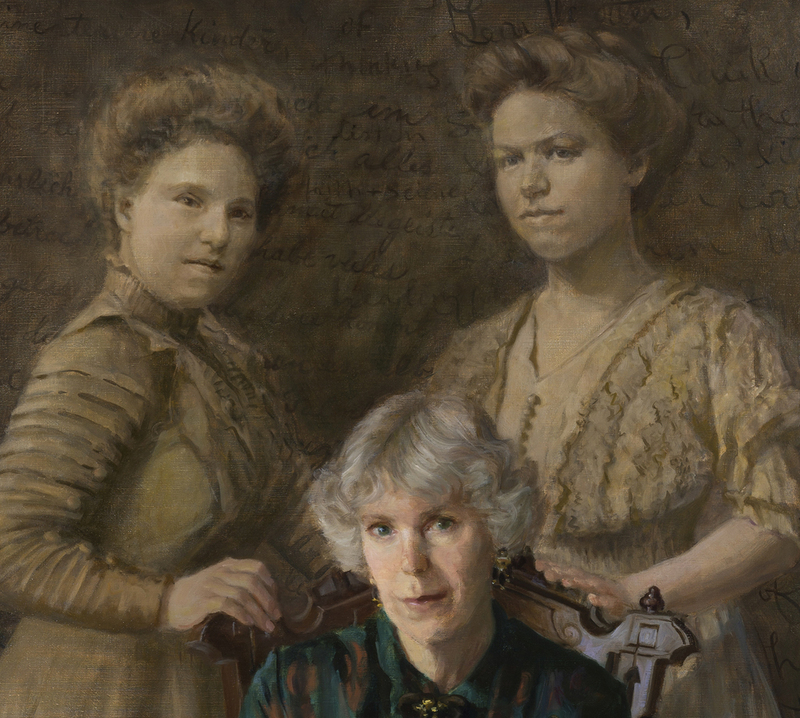 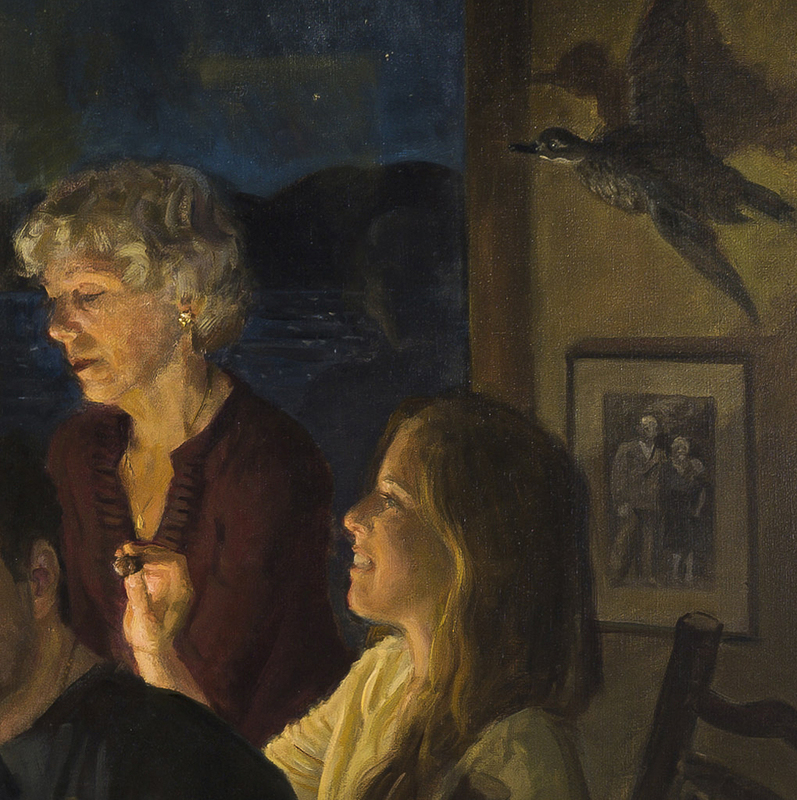 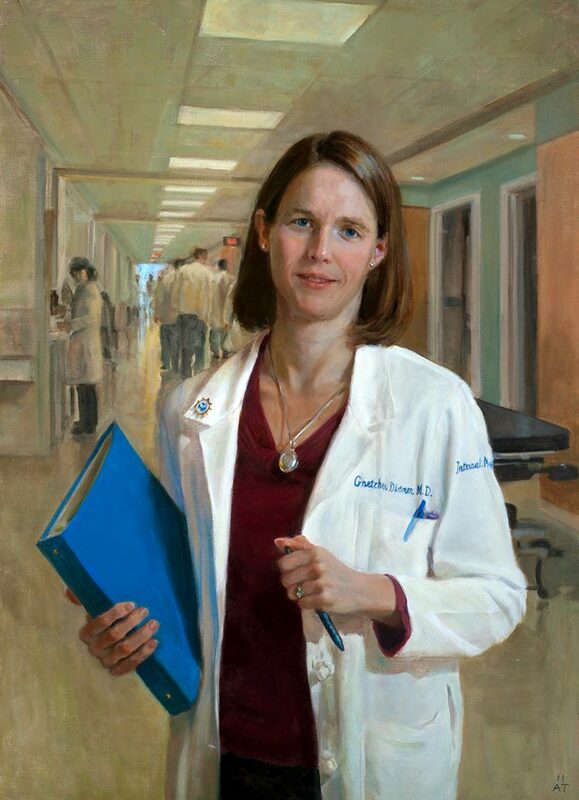 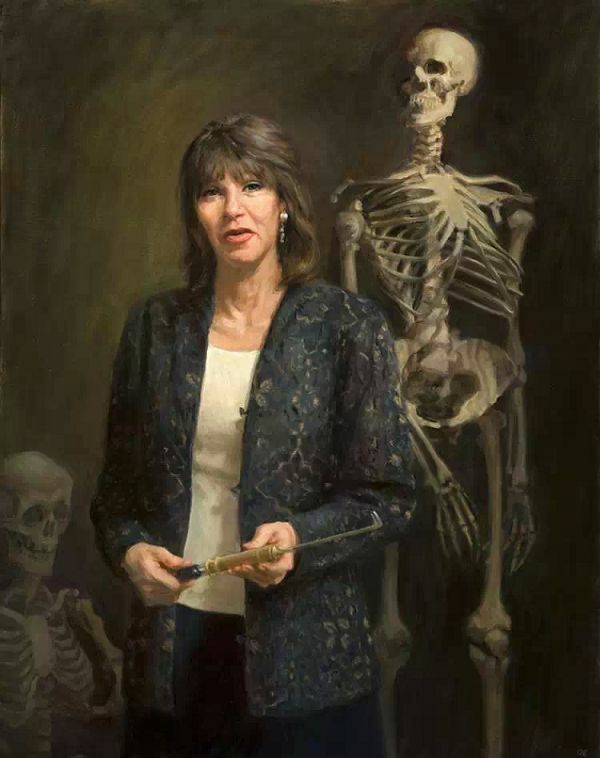 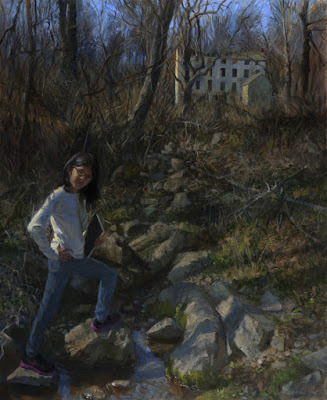 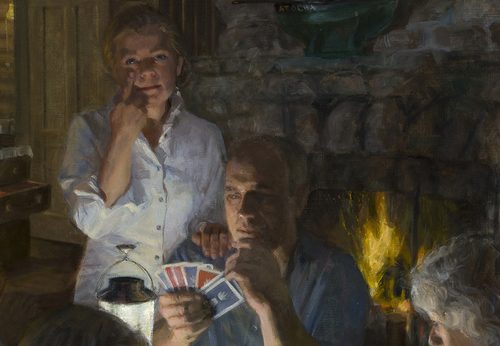 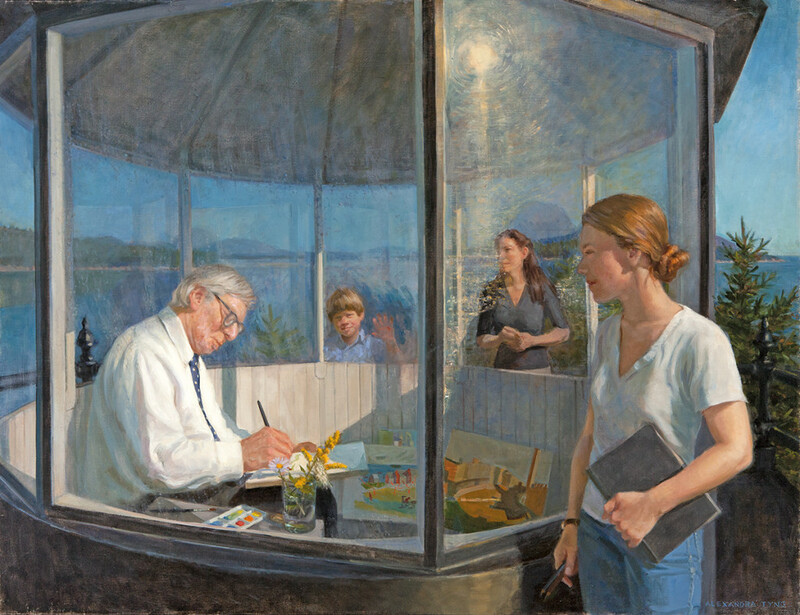 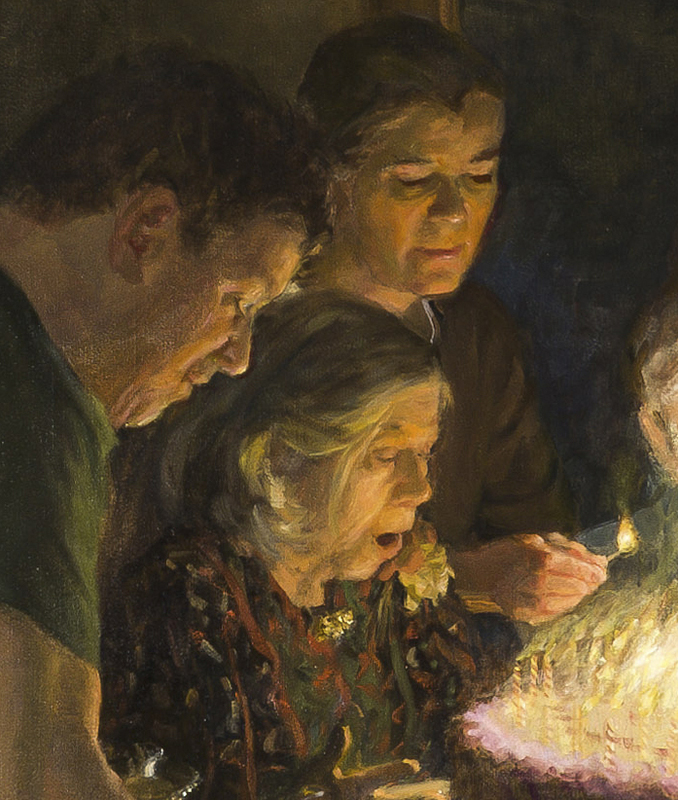 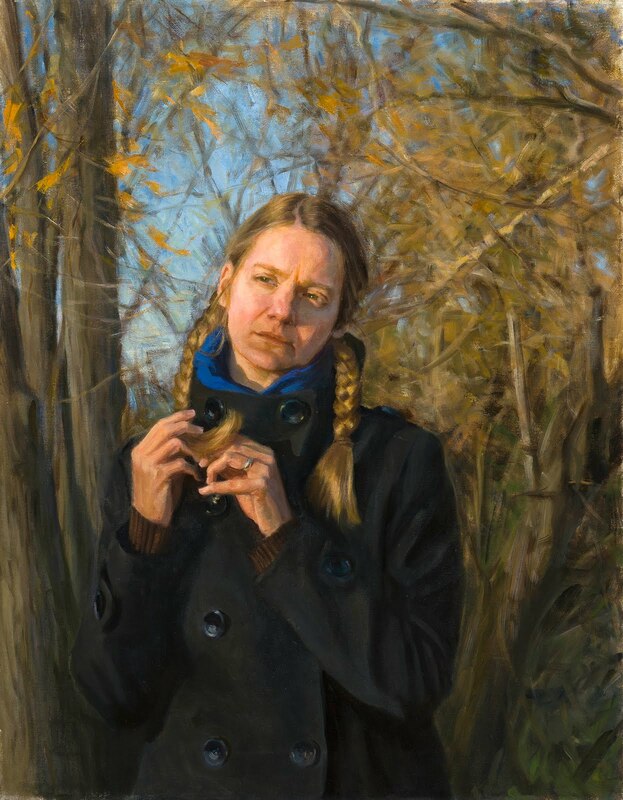 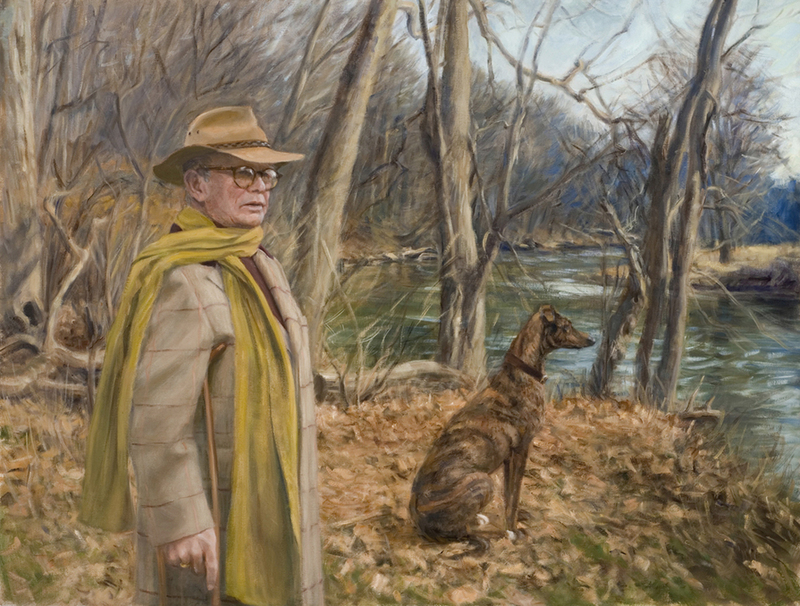 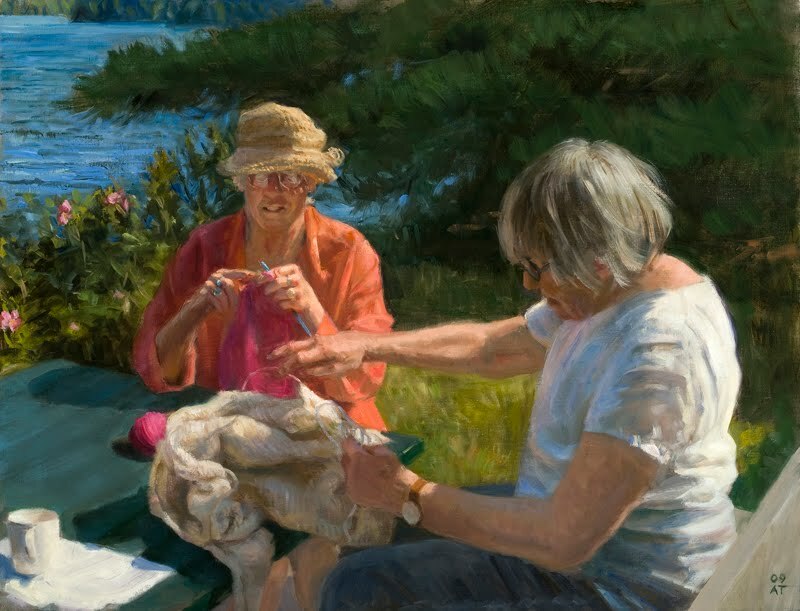 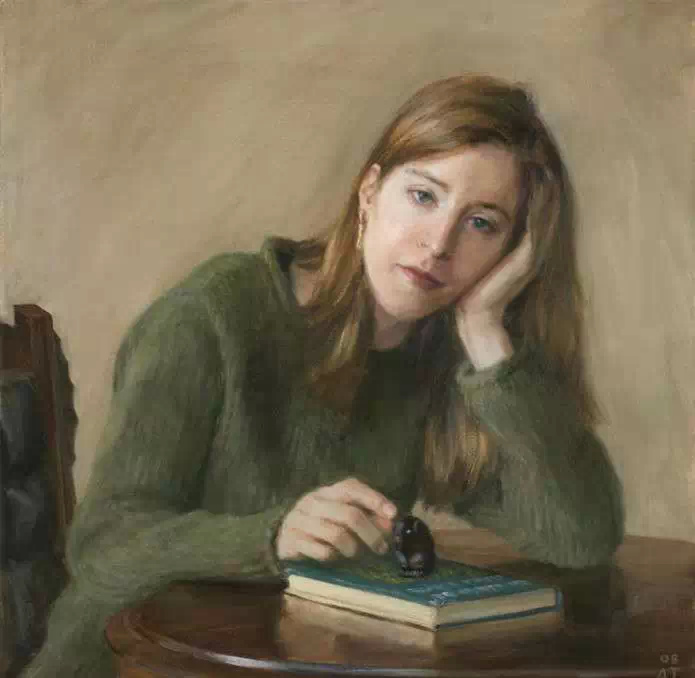 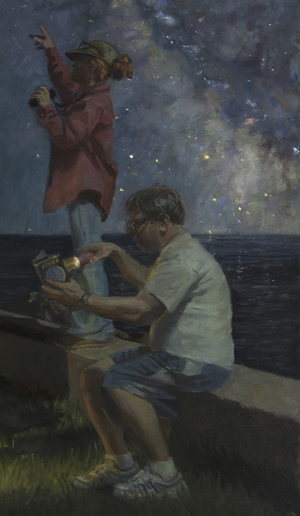 Her figurative paintings and portraits have garnered awards from the Portrait Society of America, the Allied Artists of America, the Woodmere Art Museum, The Artist’s Magazine, and American Artist. 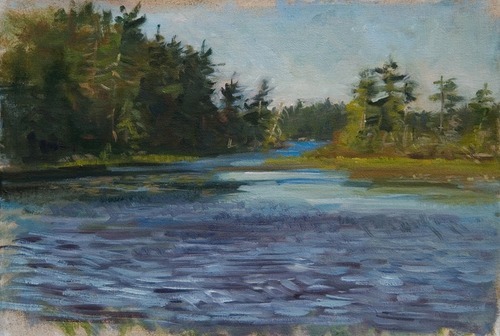 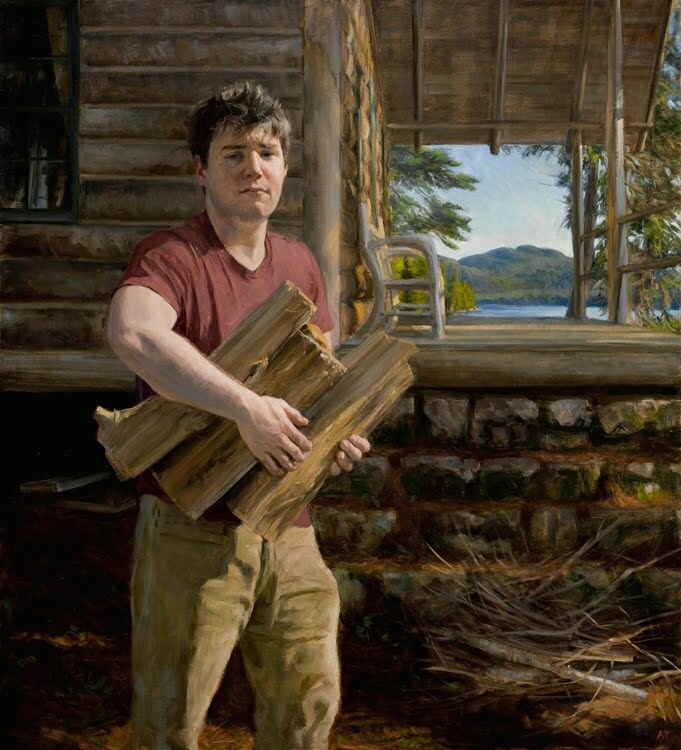 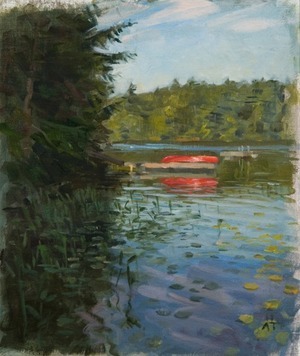 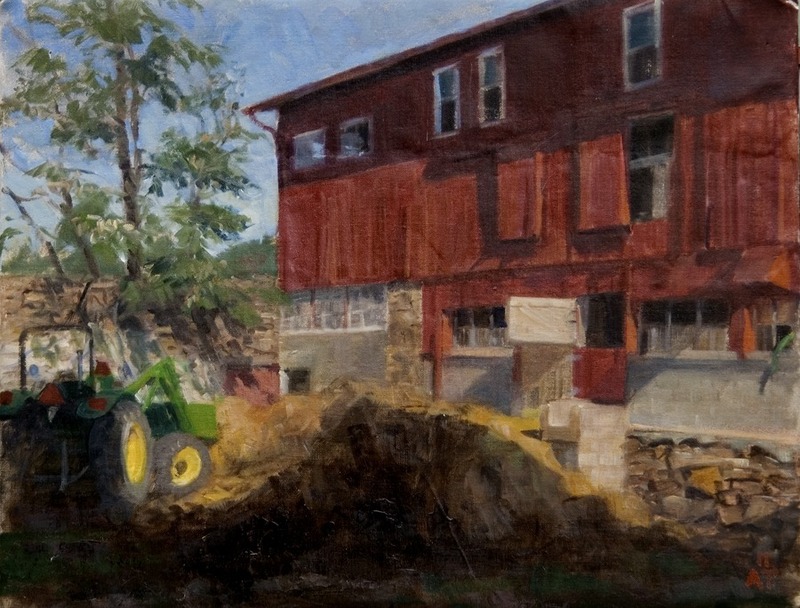 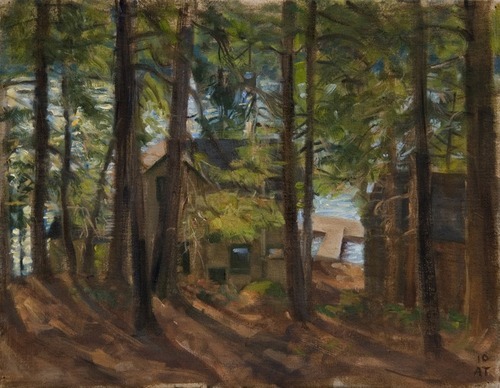 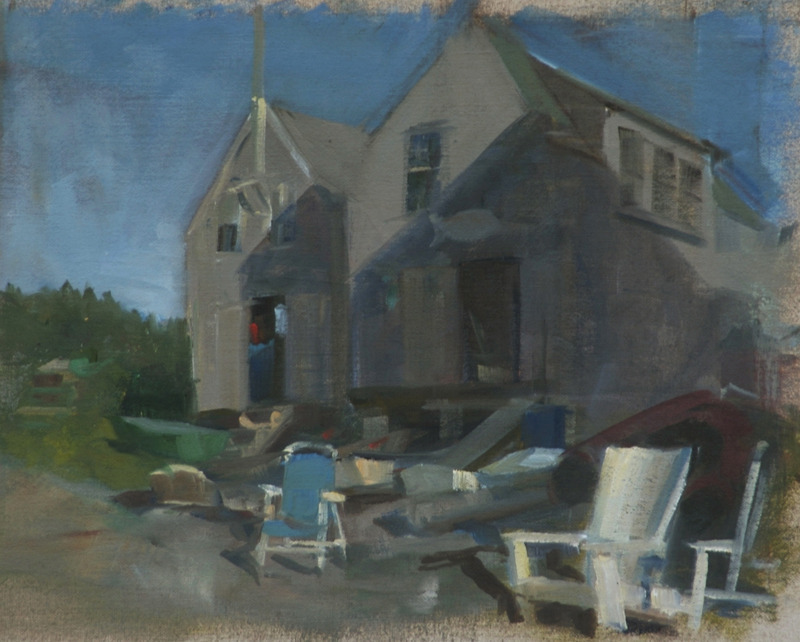 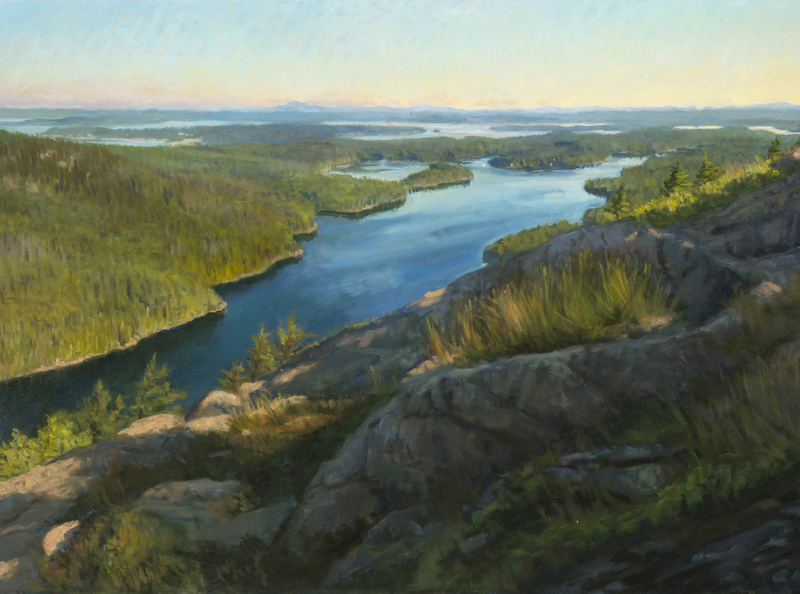 In 2008 Alex was selected as one of Maine’s outstanding artists by Maine Home+Design; in 2009 an article on her landscape work appeared in that same publication. 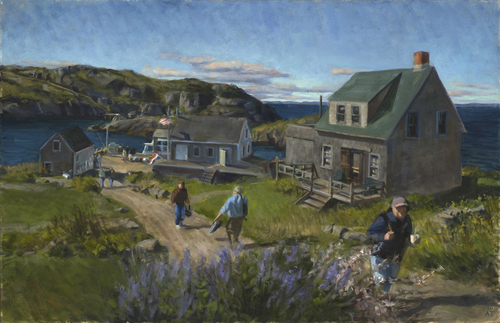 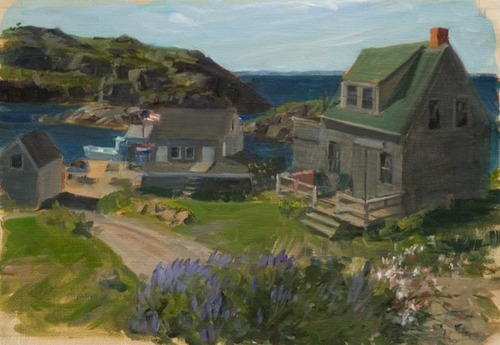 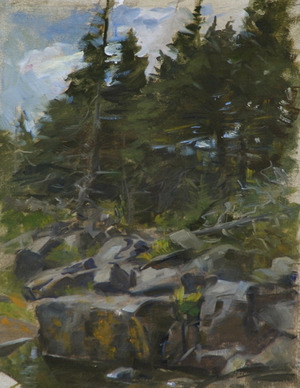 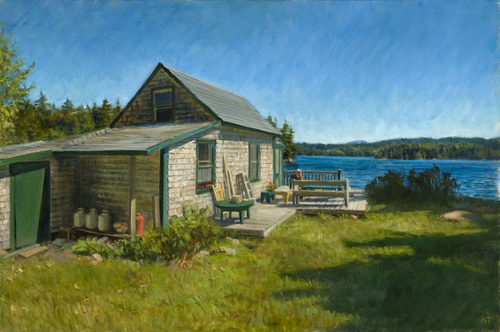 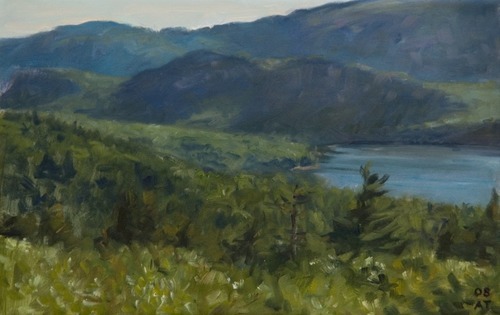 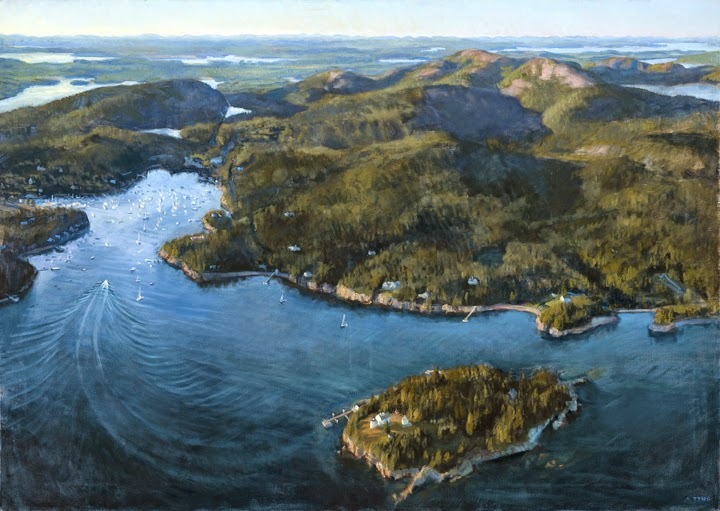 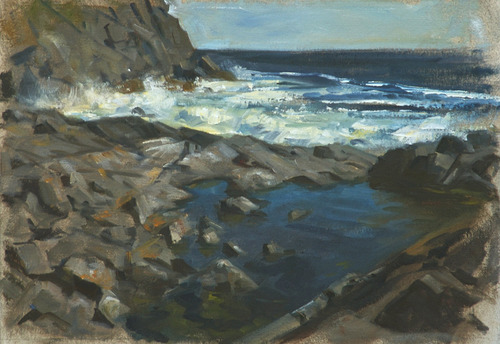 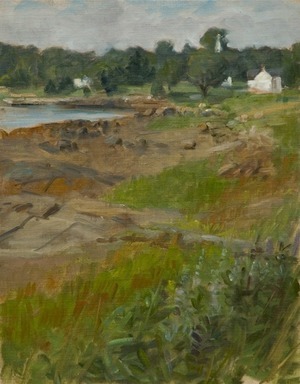 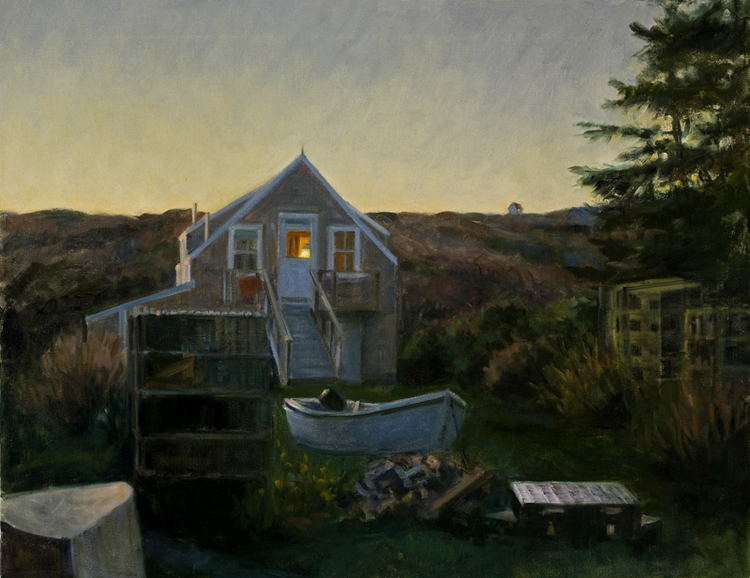 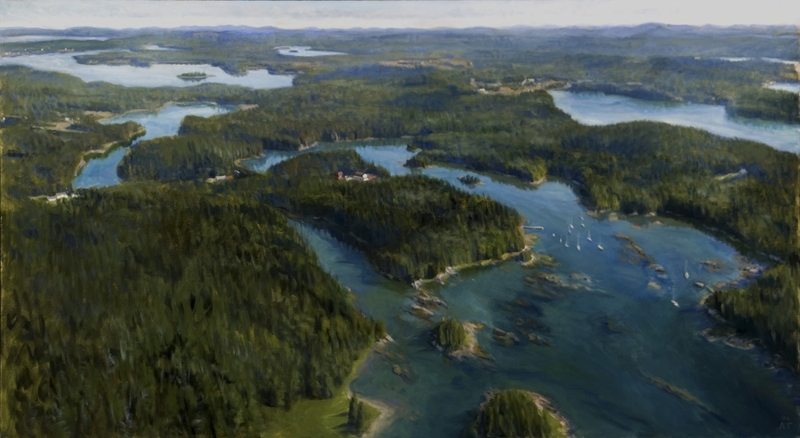 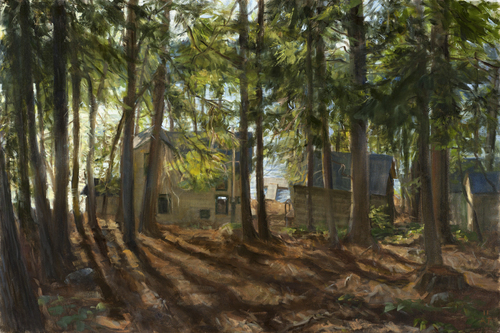 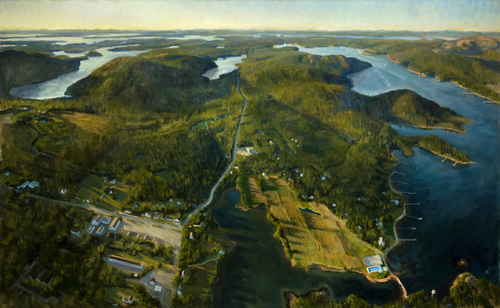 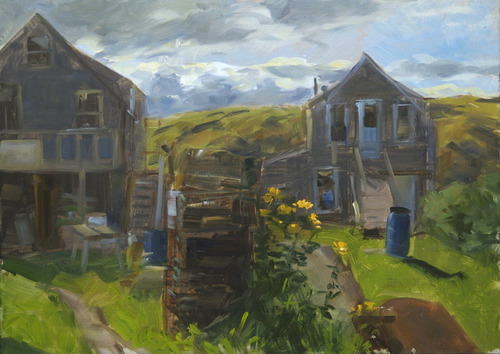 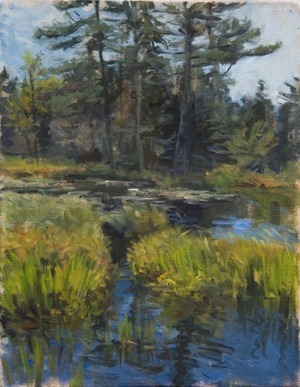 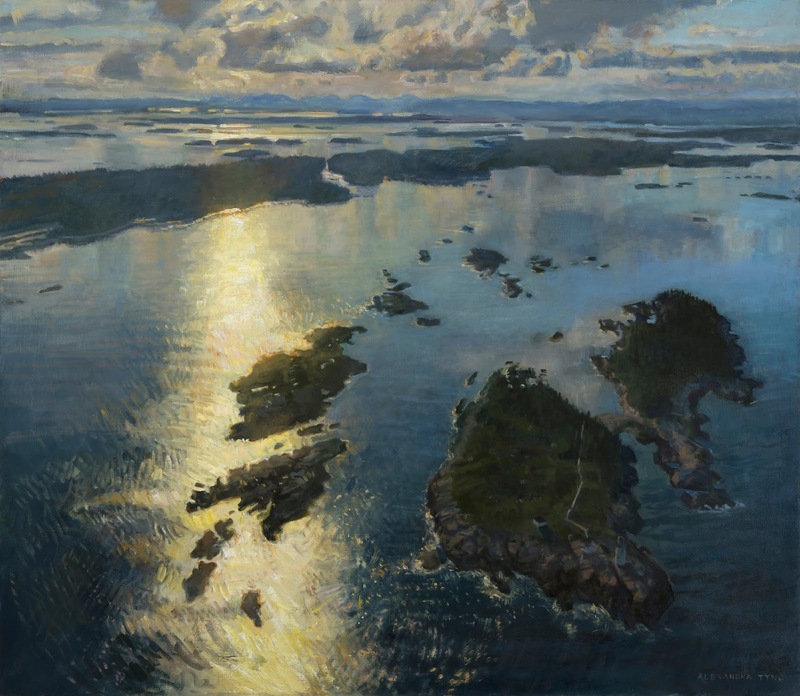 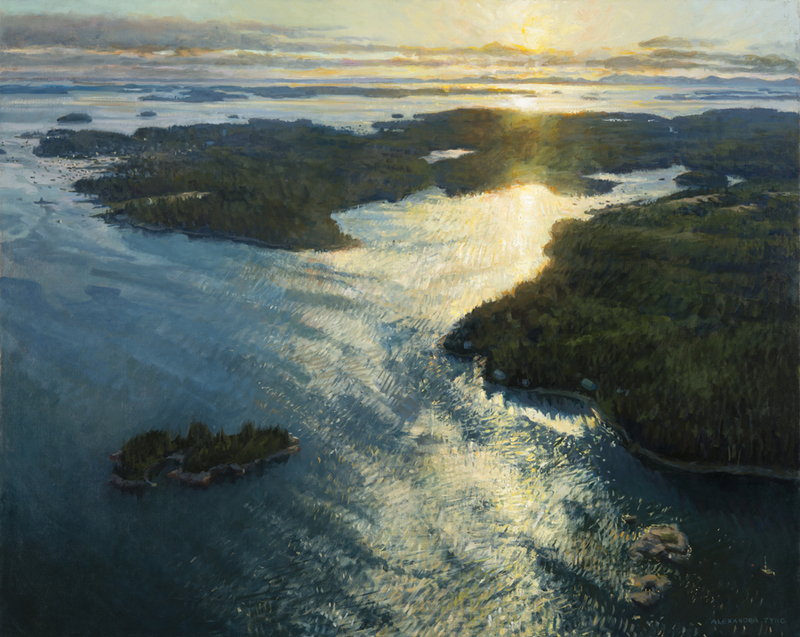 Her Maine landscapes have also been featured in The Art of Monhegan by Carl Little, and in art magazines including Fine Art Connoisseur, American Art Collector, The Artist’s Magazine, International Artist, and O and S (Poets and Artists). 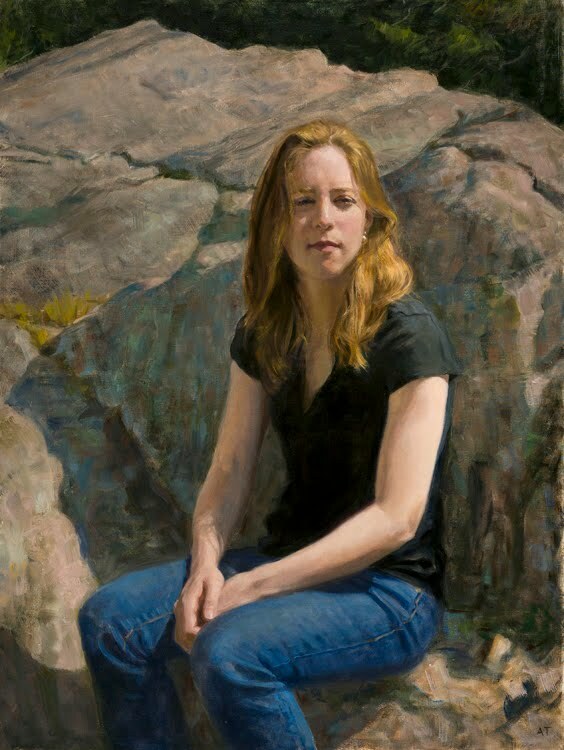 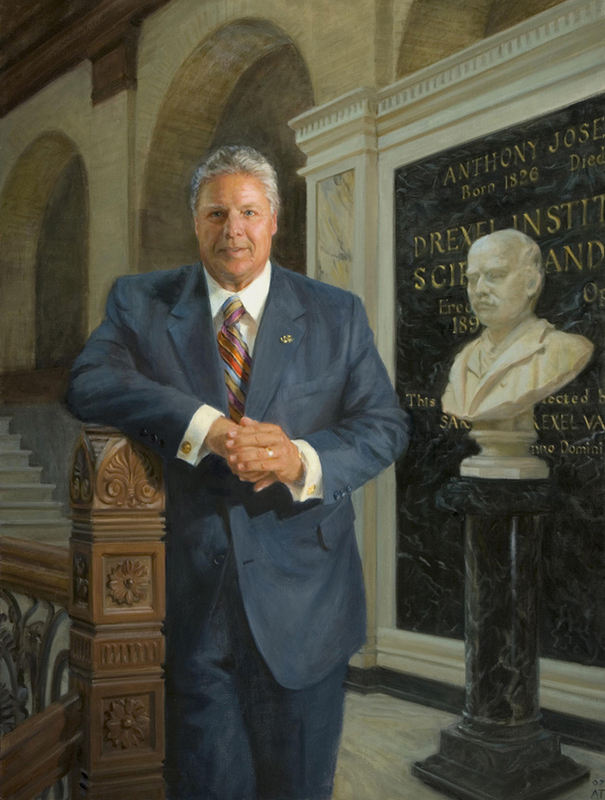 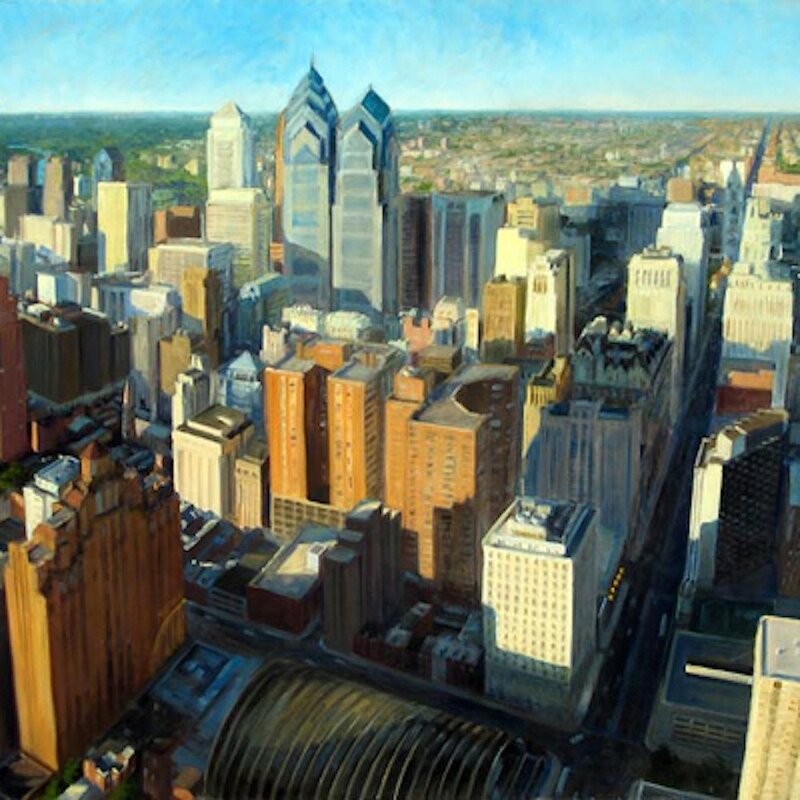 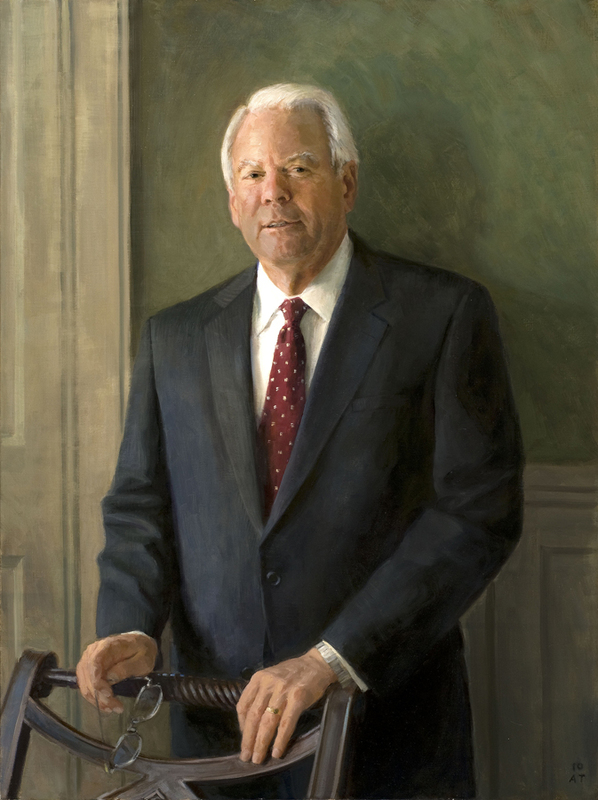 Alex leads workshops in Maine and Philadelphia, and teaches portraiture in the Philadelphia area. 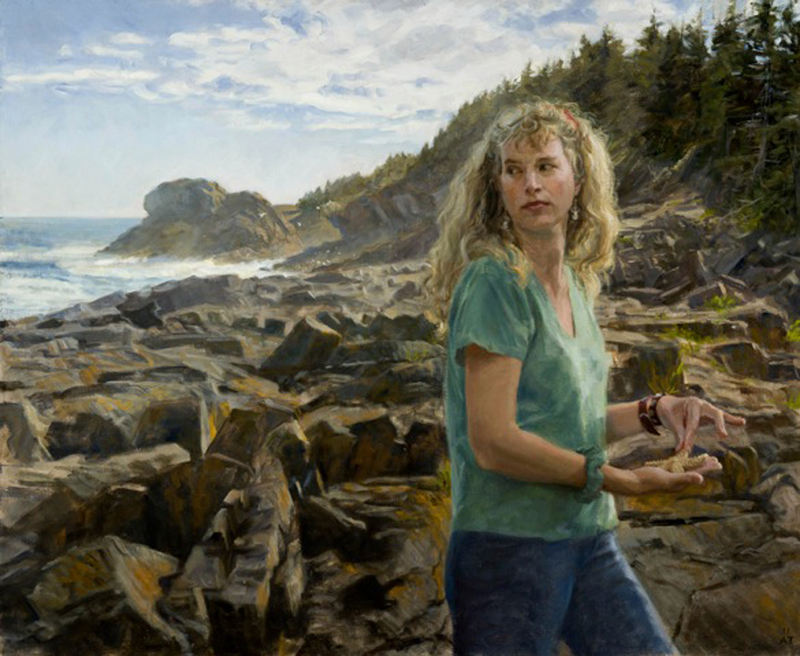 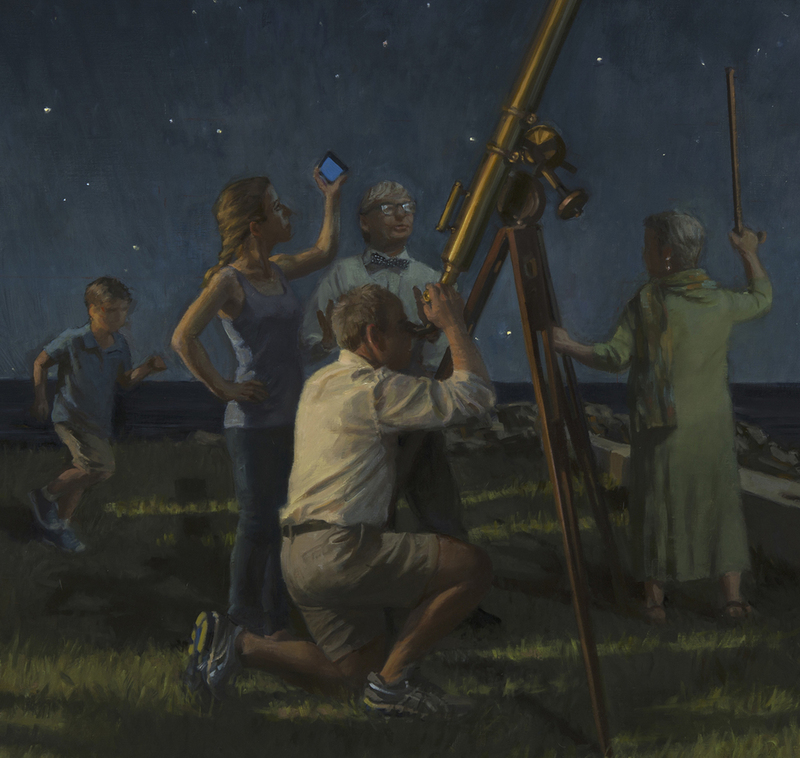 Alex is a member of the Maine Landscape Guild, and the founder of Portraits For the Arts, an ongoing philanthropic project that uses the power of portraiture to raise money for the arts in the Philadelphia area. 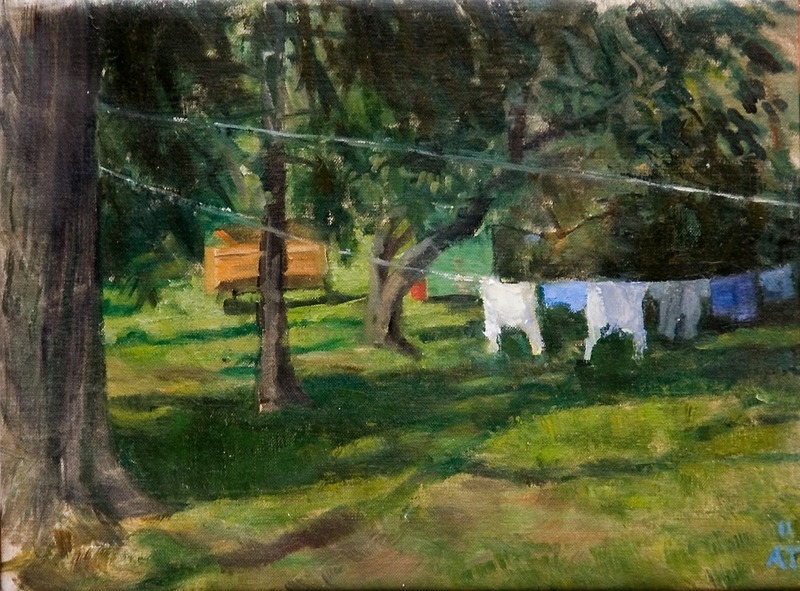 Top 100 Finalist, International ARC Salon. 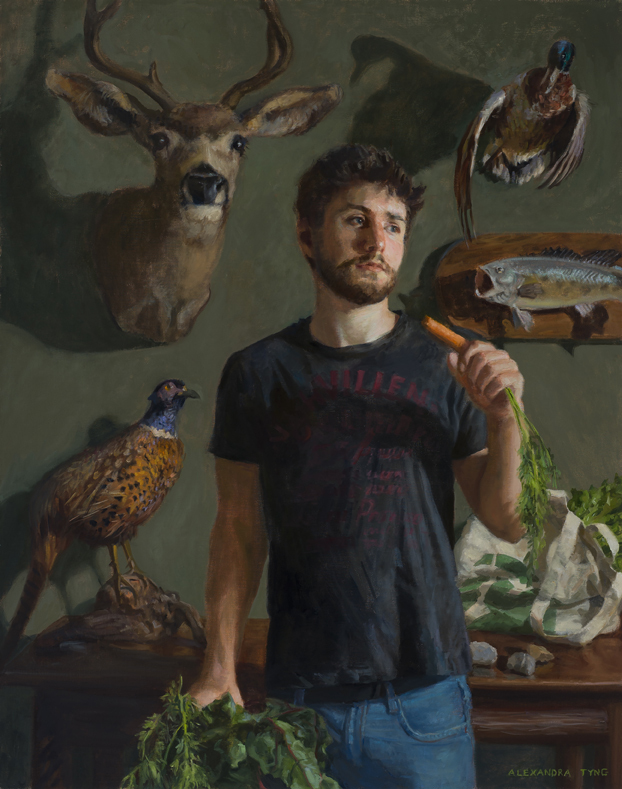 Finalist, Members Only Competition, Portrait Society of America. 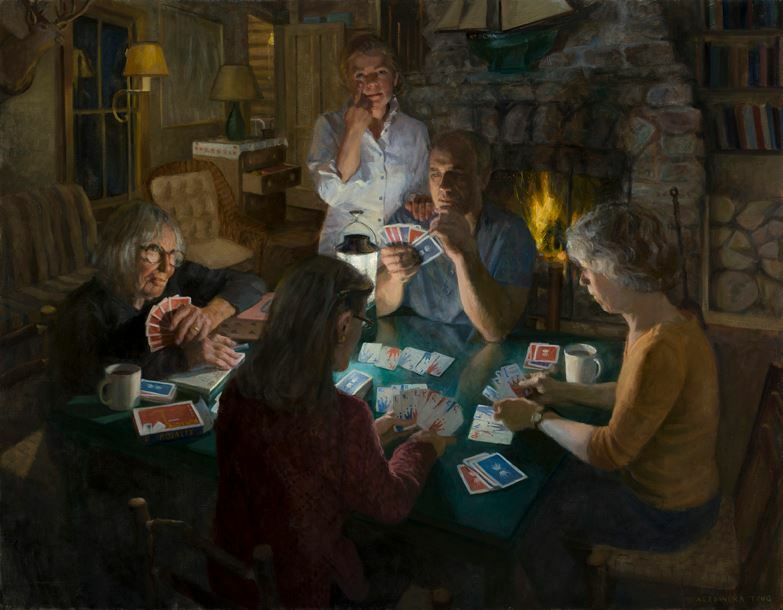 4th Place, Multiple Figures Category, Members Showcase, Portrait Society of America. 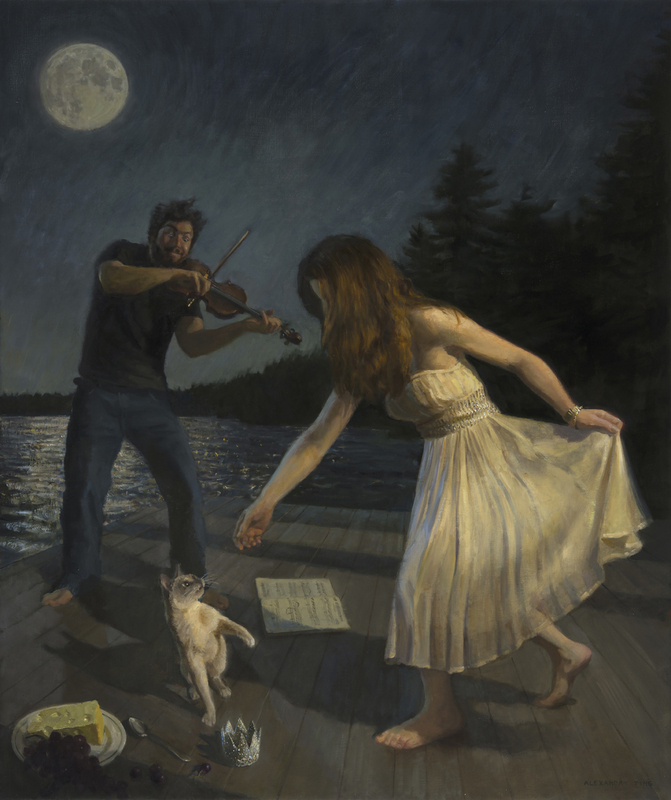 Top 10 Finalist, American Artist Cover Competition. 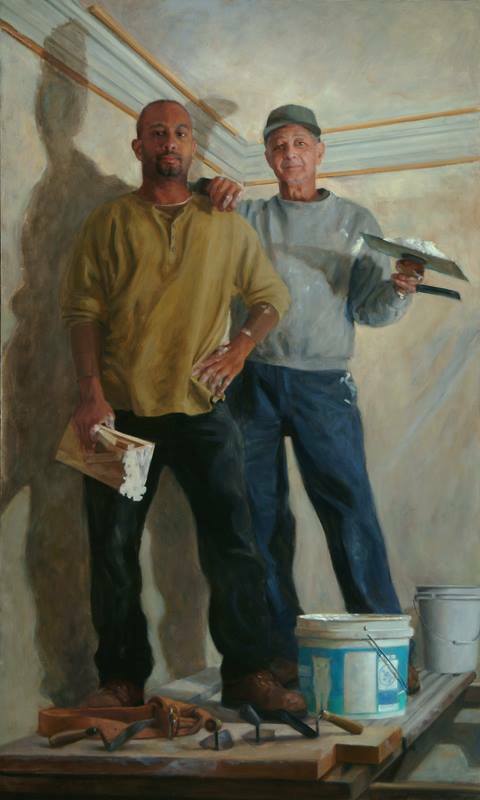 Finalist, Portrait Category, The Artist’s Magazine Annual Art Competition. 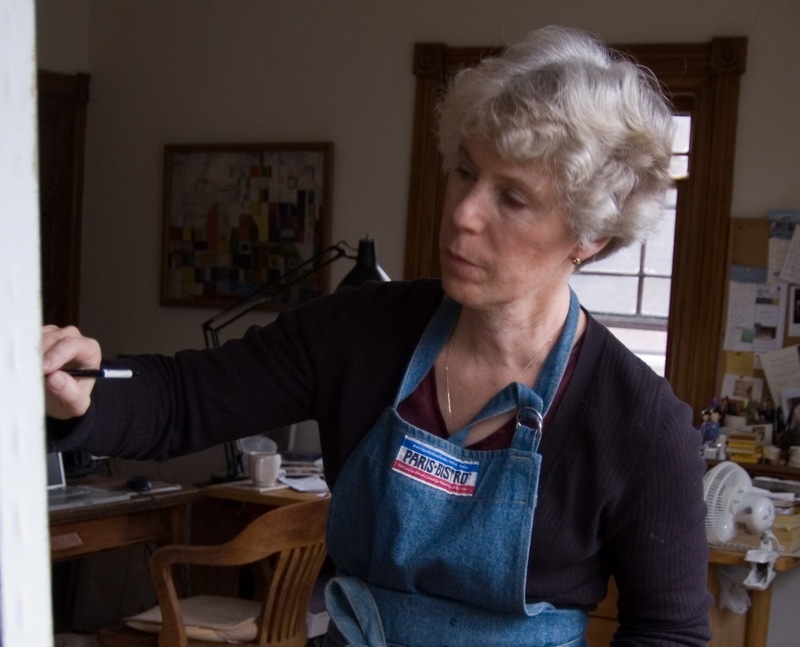 Alexandra Tyng, figlia secondogenita del famoso architetto Louis Kahn, nasce a Roma nel 1954. 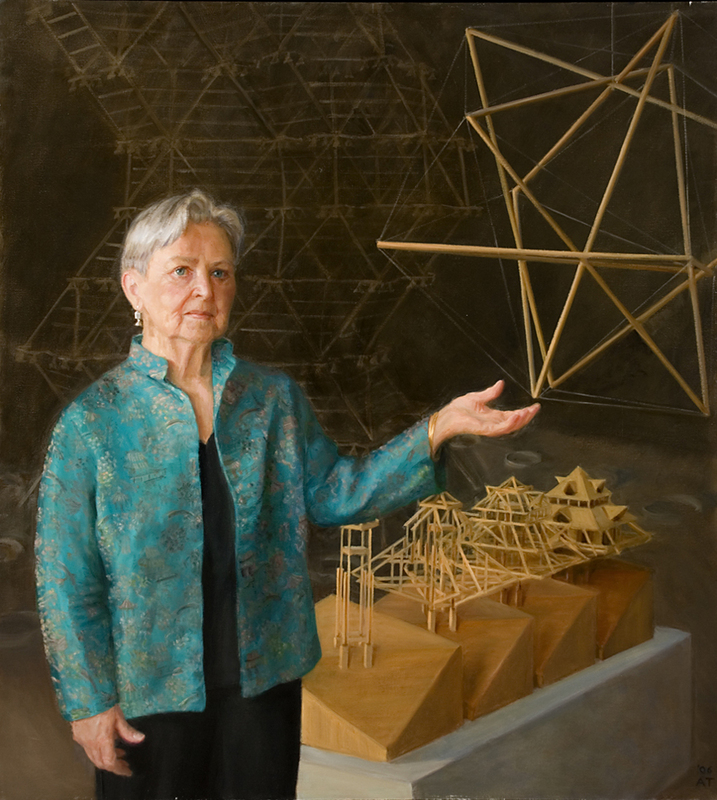 La madre Anne Tyng, brillante architetto con laurea ad Harvard e collaboratrice di Kahn dal 1947, di fronte alla inaspettata gravidanza frutto della relazione con un uomo gia sposato, decide di trasferirsi in Italia per vivere serenamente la nascita della figlia lontano da Philadelphia; ospite nella casa di suo fratello William, in via Cassia 488, vivrà a Roma dal novembre 1953 al gennaio 1955, mantenendo una fitta corrispondenza con Louis Kahn. 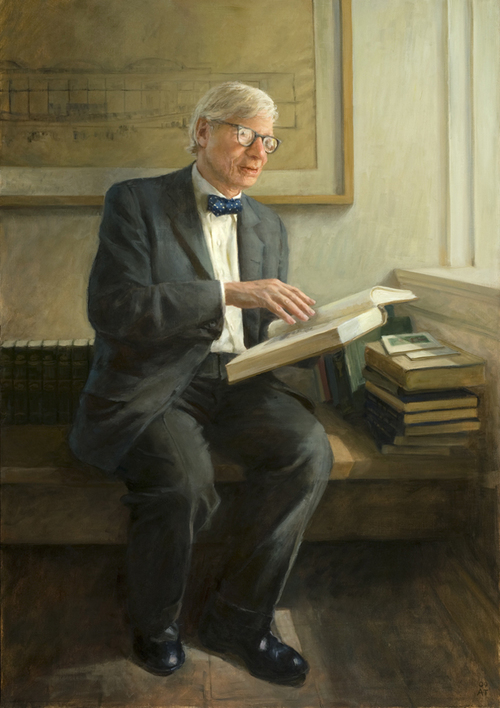 Alcuni mesi dopo la improvisa morte di Kahn - avvenuta it 17 marzo 1974 a pochi giorni del suo ventesimo compleanno, Alexandra Tyng matura l'idea di dedicare la sua tesi di diploma allo studio della filosofia dell'architettura kahniana, con l'intento di approfondire la conoscenza del lavoro e del pensiero creativo del padre; l'esito di questa ricerca sara il libro: Beginnings, Louis I. Kahn's Philosophy of Architecture, che rimane ancora oggi un testo importante per ricchezza delle fonti e profondità del contenuto. 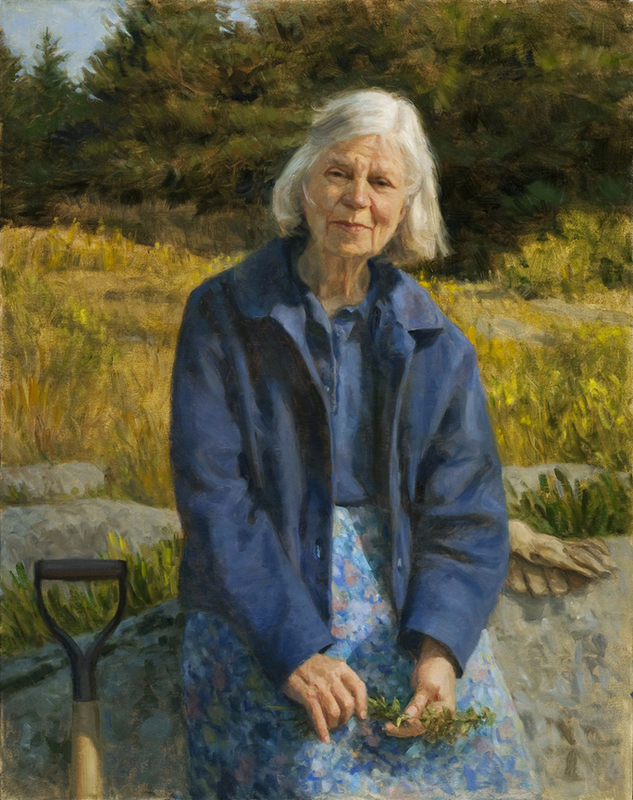 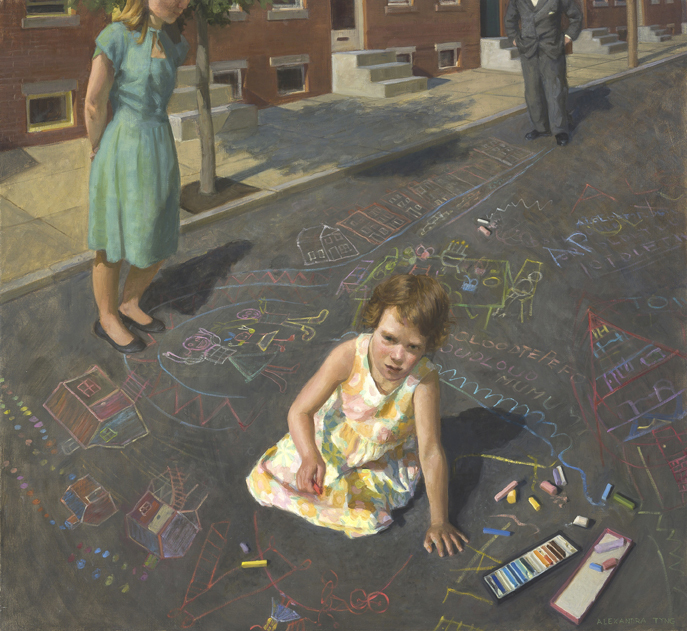 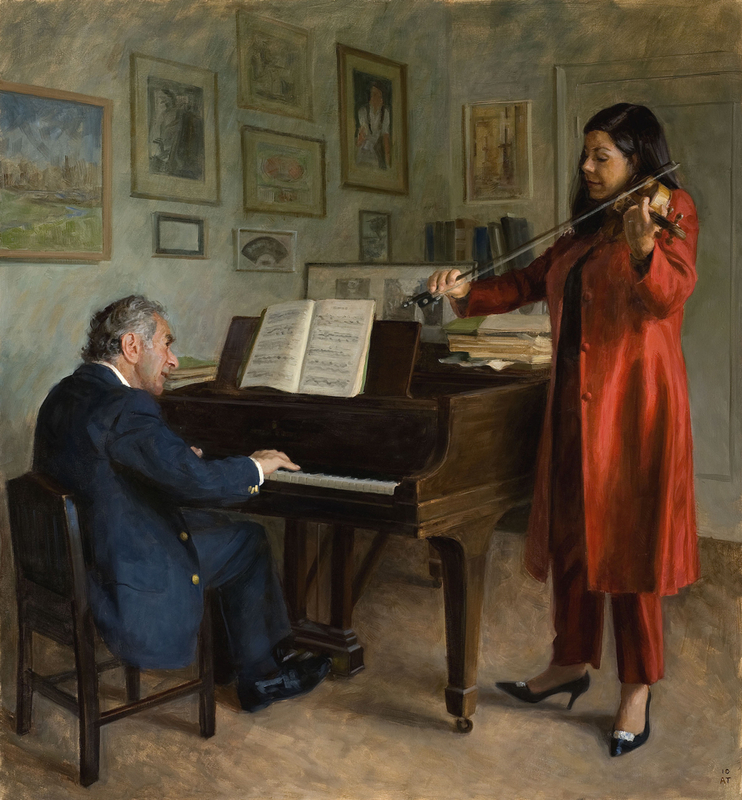 Attualmente Alexandra Tyng, è una pittrice affermata ed insegnante di ritratto e paesaggio, e presidente dell'associazione Portraits For the Art, che promuove l'arte nel territorio di Philadelphia, città dove attualmente vive e lavora.